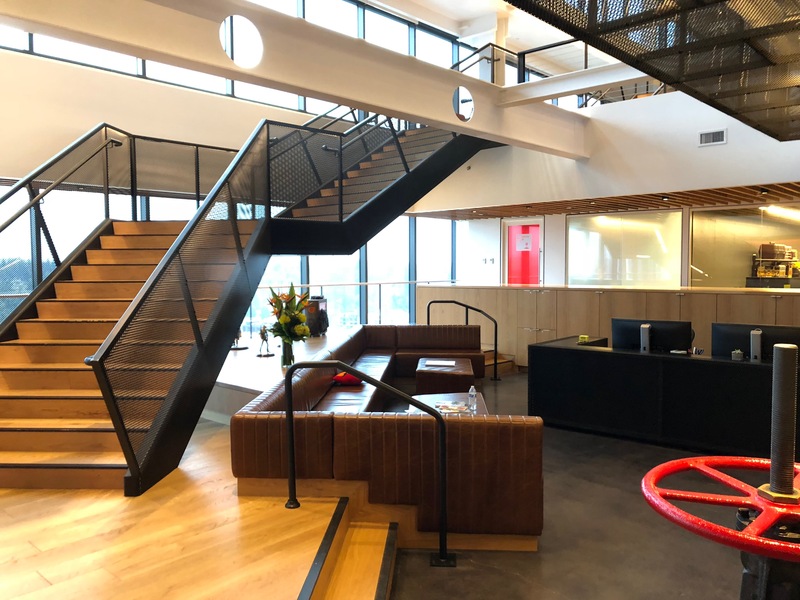 From giant ballonicorns to golden crowbars, this is a sweet place to do your 9-to-5. Okay, who put acid in the water fountain? 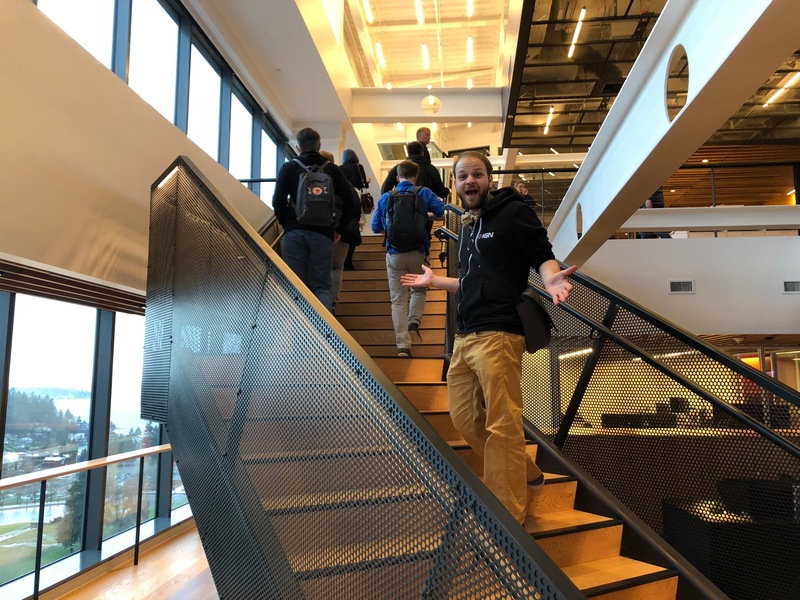 For architectural reasons I now forget, this staircase is key to the office's flow. 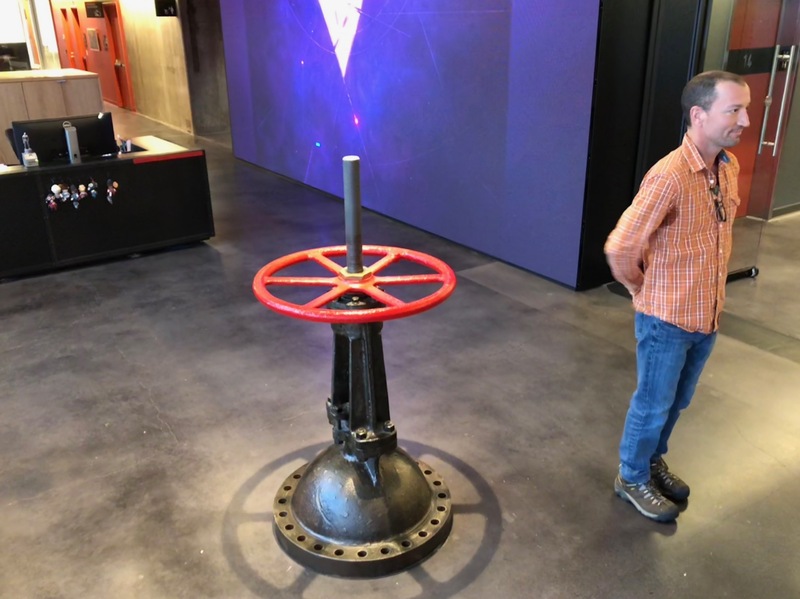 Reception features a large valve (and Doug Lombardi, who I'm not about to do a joke about). 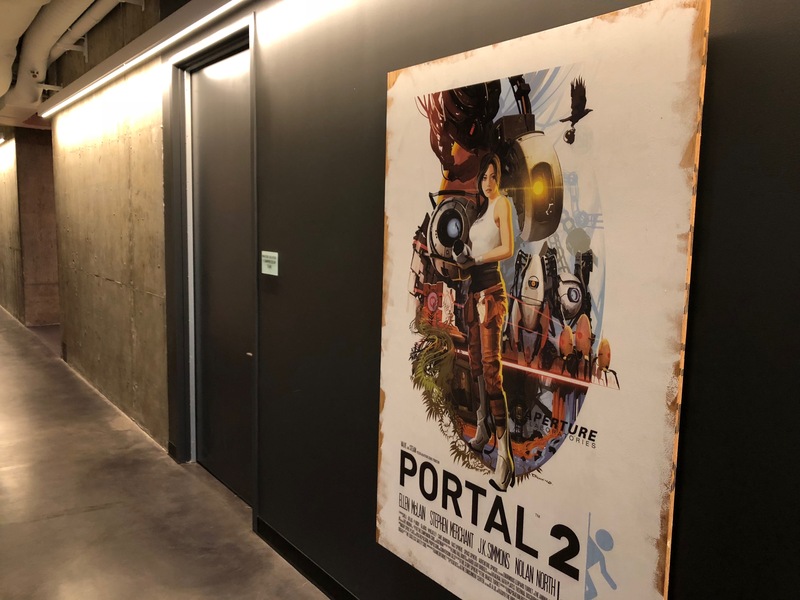 "So if I fire the first portal onto the girder, then..."
The guy who made this is currently Valve COO. There's Tom, walking away from me without a care in the world. Again. 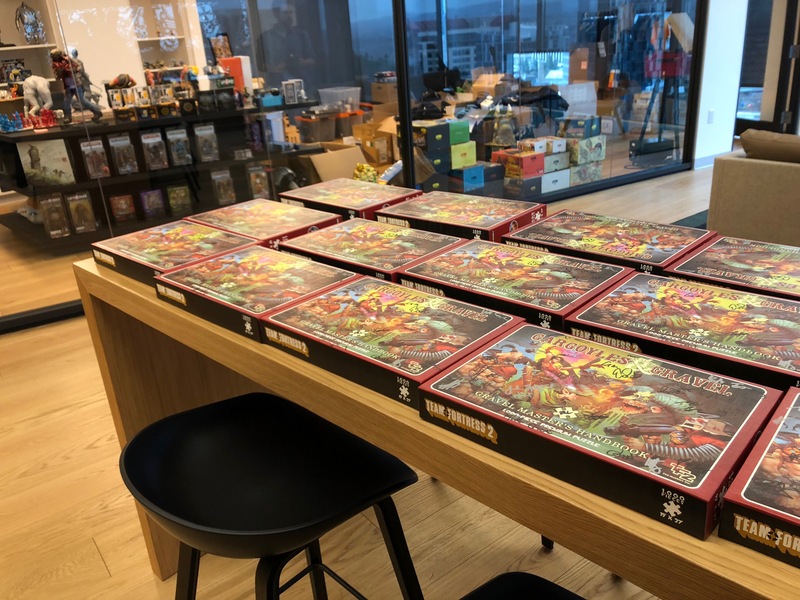 Thanks to my light fingers Evan now owns one of these TF2 jigsaws. 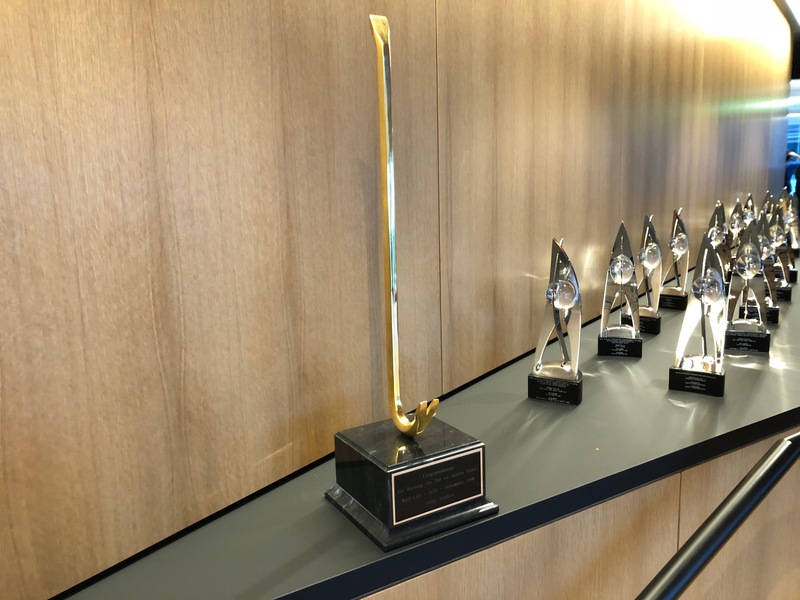 There's an entire room dedicated to housing the Valve merchlode. 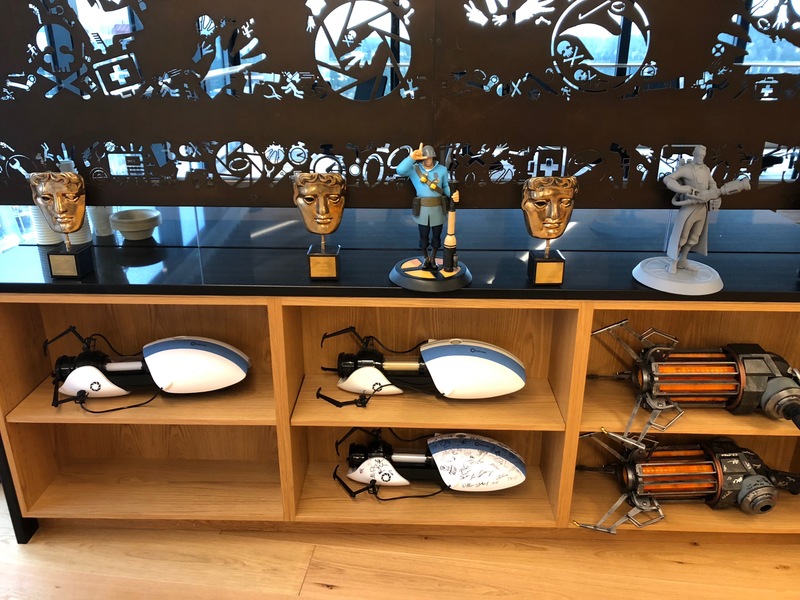 Portal guns and BAFTA awards are both plentiful. 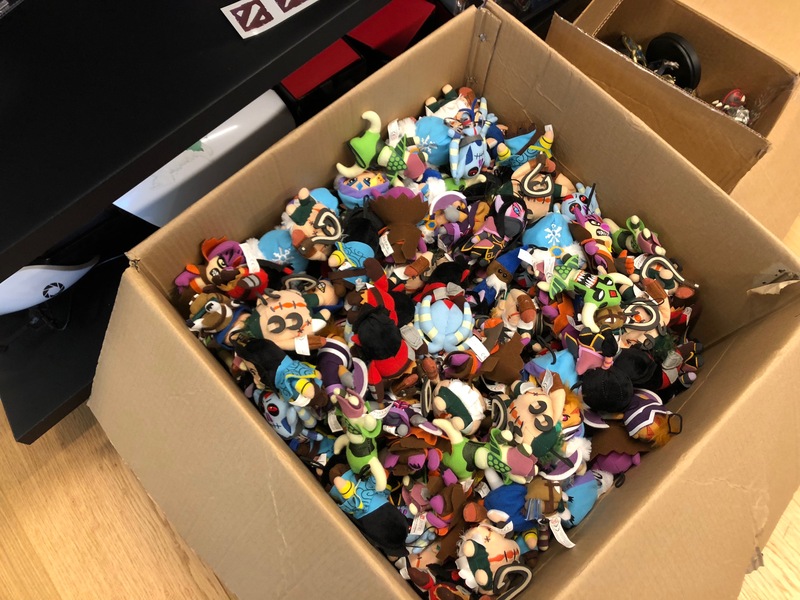 You could call it a loot box. 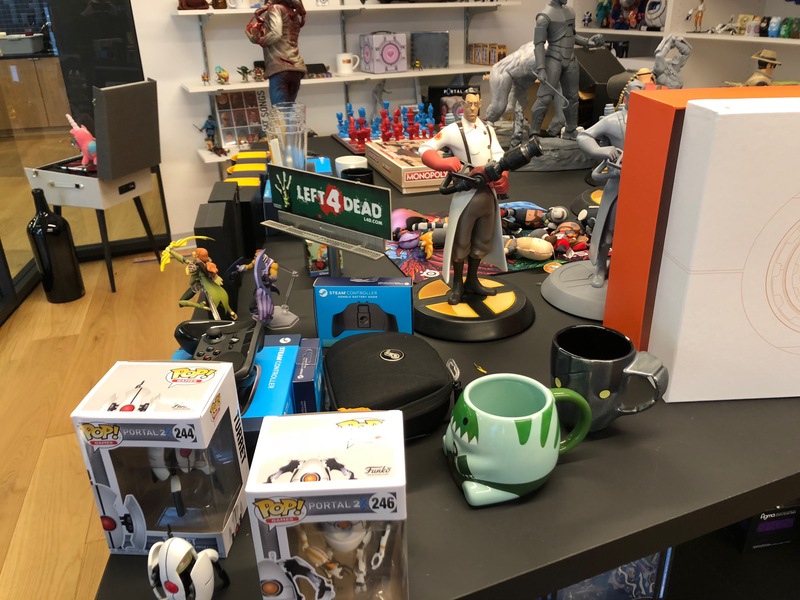 The Medic standing watch over more merch. So that's where the gravity gun wound up. Portal cake mix, in case you weren't tired of that joke. Hey, Freeman. Haven't seen you in a while. 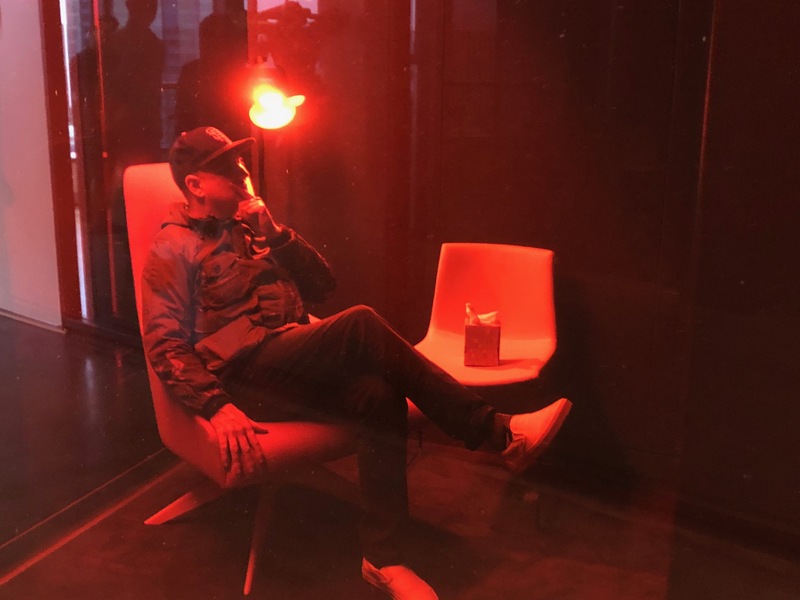 The industrial vibe is City 17 meets Willy Wonka's chocolate factory. 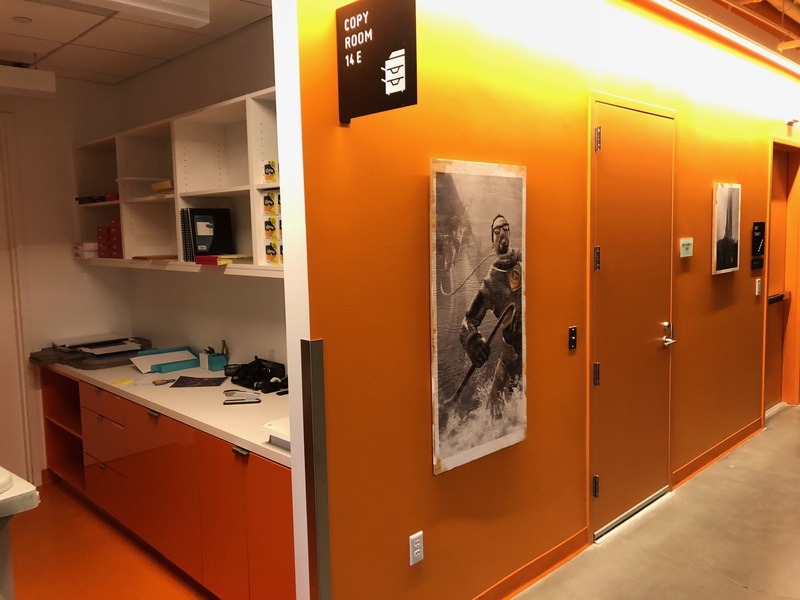 Gordon hanging out by the copy room as per usual. 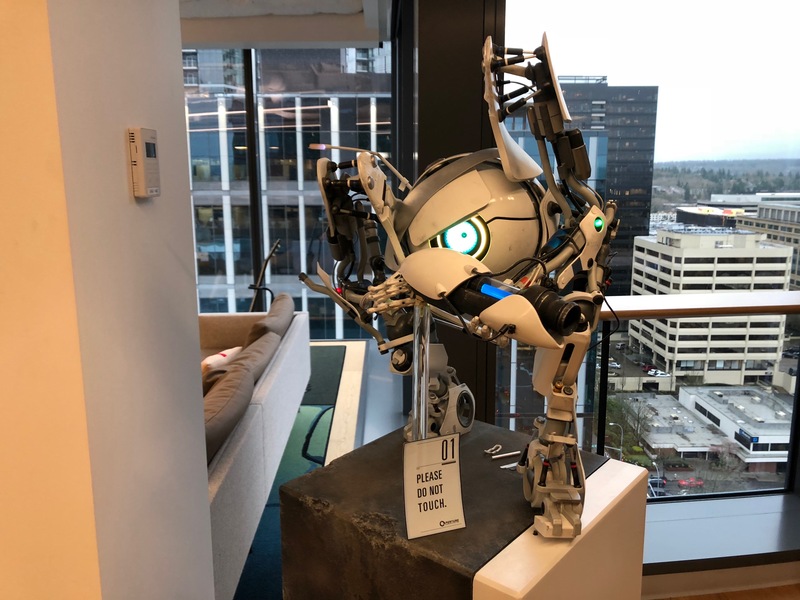 If you touch this they all cease work on Half-Life 3 and start again. This is the employee private phone room. Tissues not model's own. 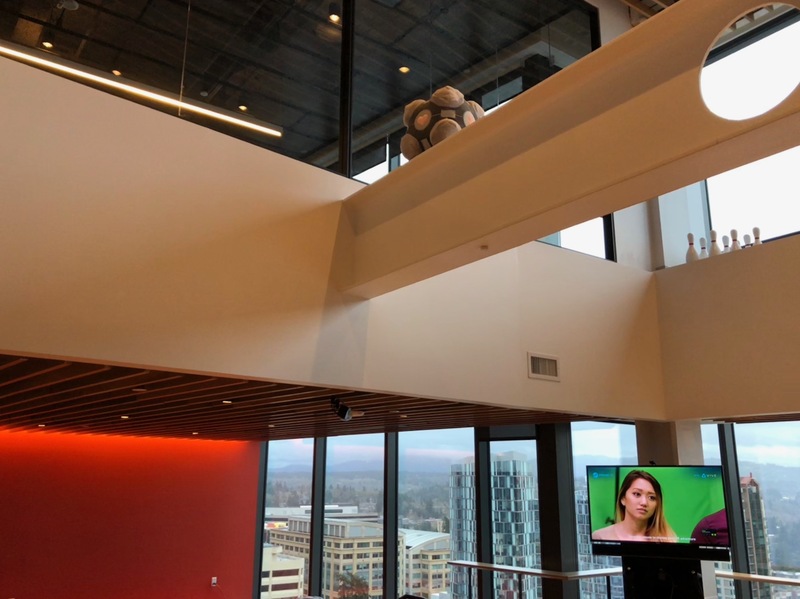 Valve has its own streaming setup for casting. There are copies of PC Gamer on the shelf. 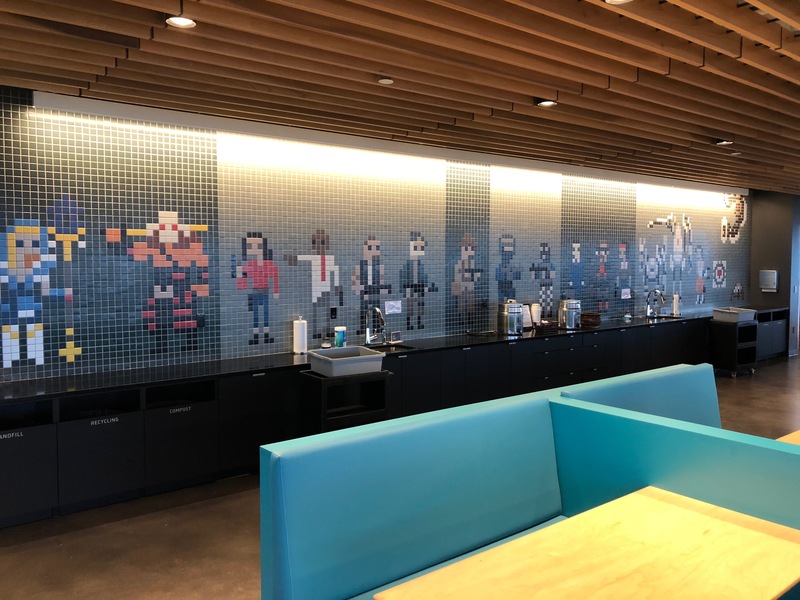 The massive canteen is home to some sweet pixel art tiling. Wait until James finds out they have Kombucha on tap here. 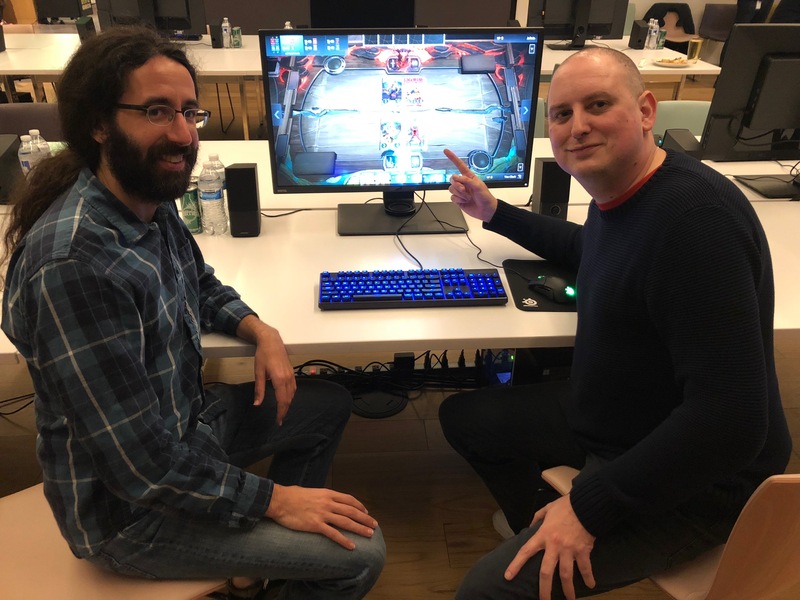 Valve's Kyle Davis (left) helps me through my Artifact playtest. Not pictured: his bare feet. 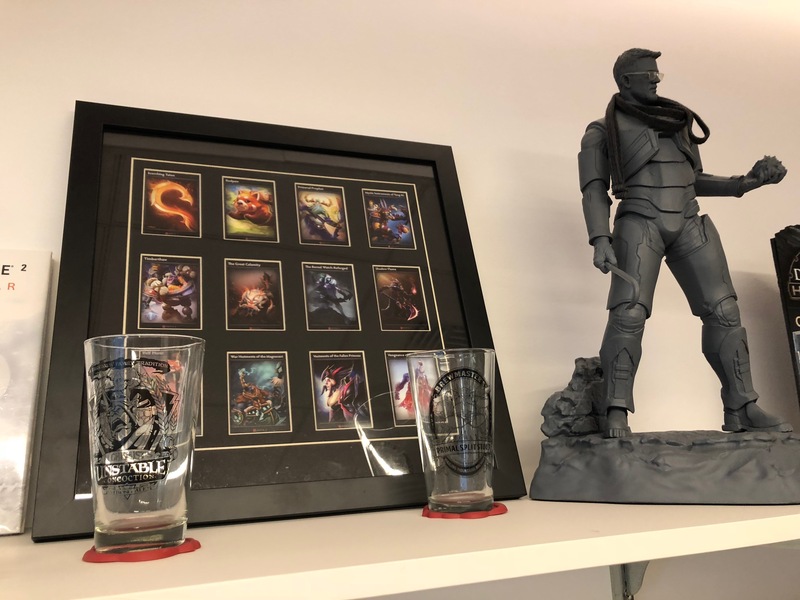 Gabe prepares to drop some TCG science. "I've never seen a single forecast," he told us. 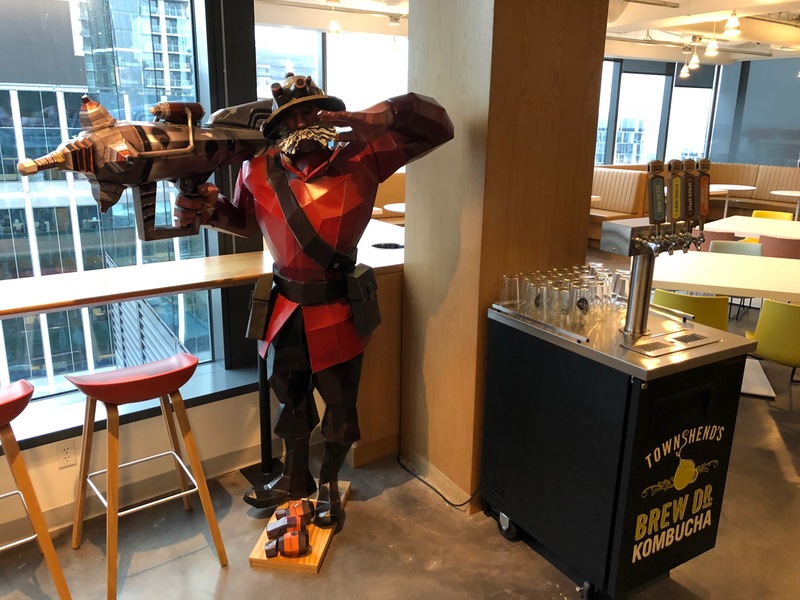 These days they'll let any chancer touch the Aegis of Champions, Dota 2's ultimate trophy. 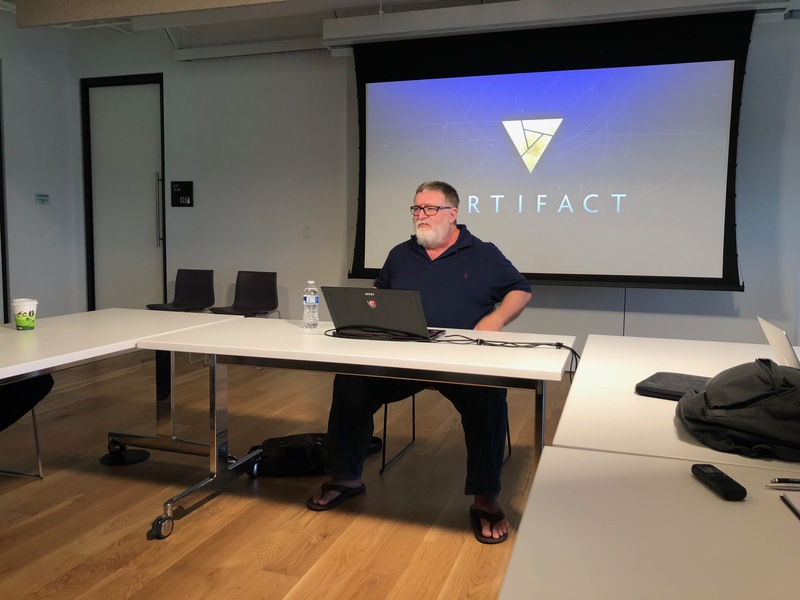 Last week I flew up to the Pacific Northwest to check out Valve's new trading card game, Artifact, which you can read all about here. 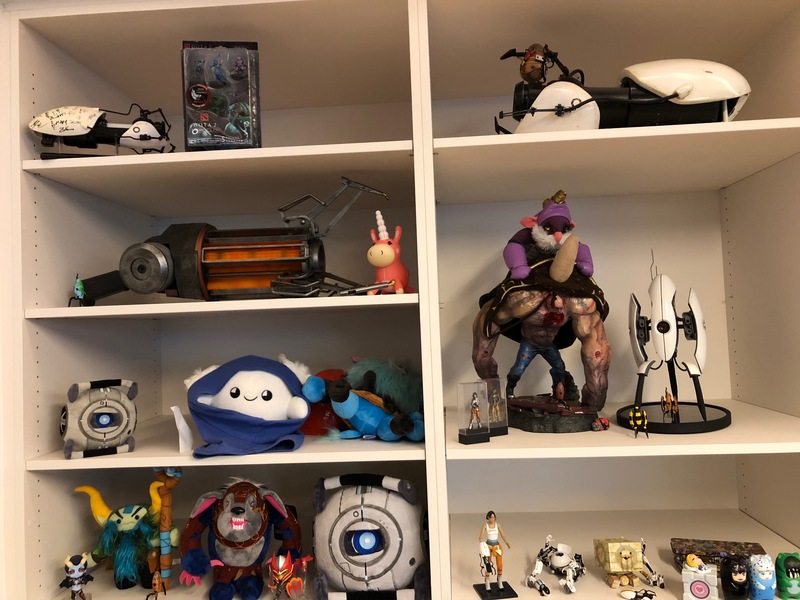 Before playing the game we got a chance to rap with Gabe Newell, hung out with legendary card designer Richard Garfield, and also took a tour of Valve's new Bellevue office. 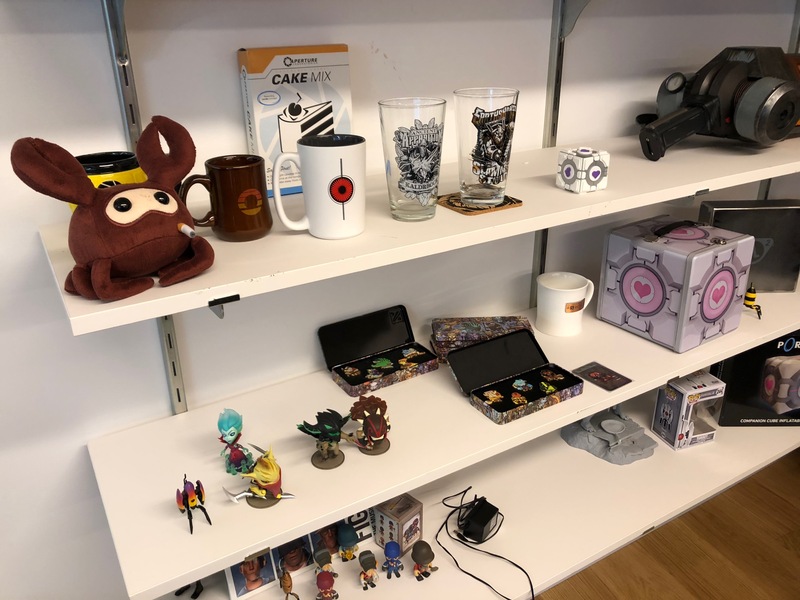 Valve moved in last October, and told us that in terms of layout is focused on improved amenities and an open layout best-suited to Valve's multi-disciplinary teams, which it calls (only somewhat ominously) 'cabals'.What kind of amenities? 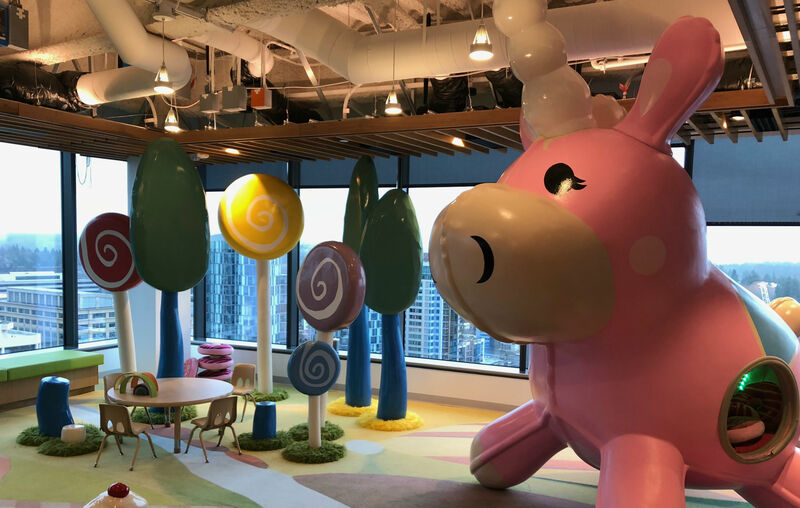 Well, there's the Balloonicorn-themed play area for when kids come in, which is a weekly occurrence thanks to Valve's policy of hosting family lunches every Thursday. 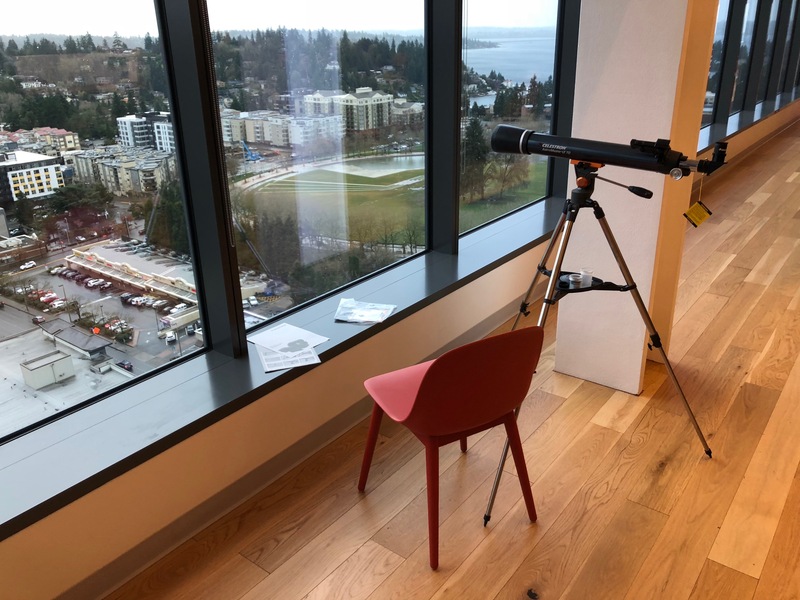 Personal trainers also visit the office to work with employees at their desks, which I sadly can't confirm are on wheels. 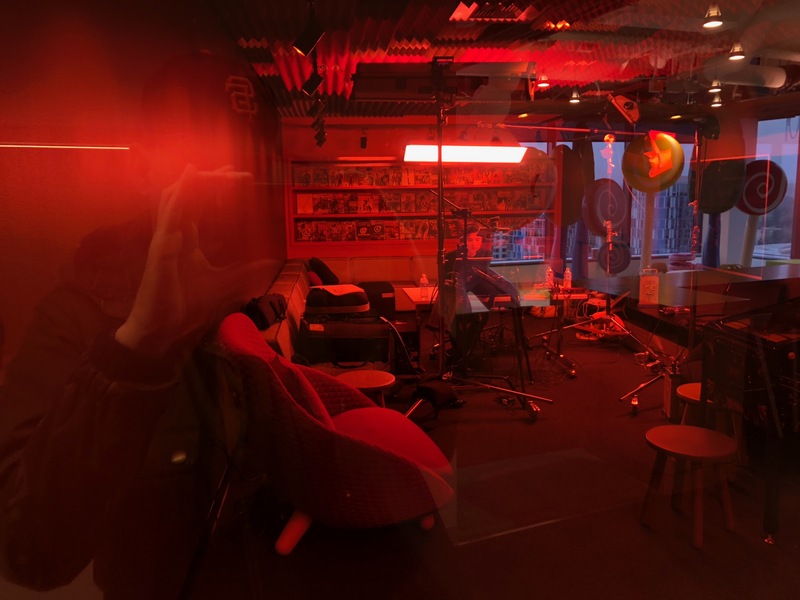 Some stuff to spot in the pictures: Look out for the hidden Companion Cube, long-standing marketing supremo Doug Lombardi, and Tom "The Betrayer" Marks, once of PC Gamer's parish but now plying his trade elsewhere. 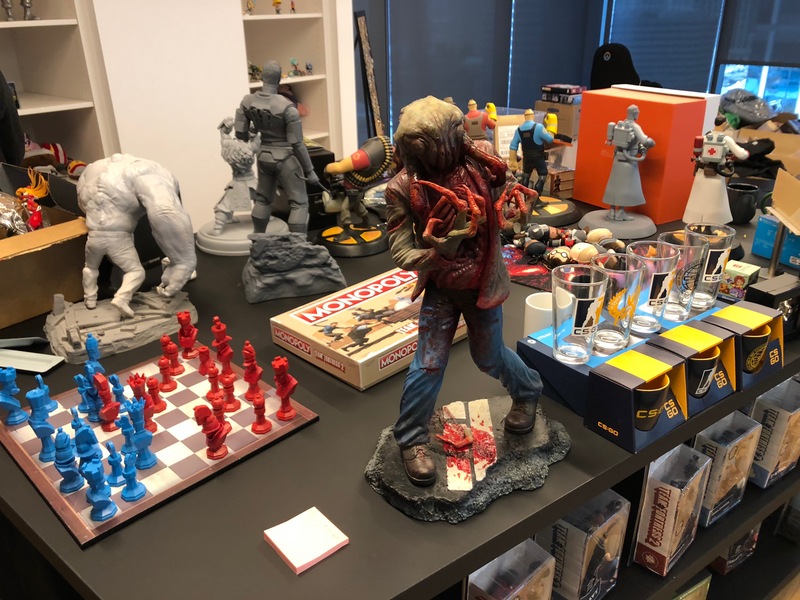 There's also a ton of sweet merch tied into Valve's back catalogue of games, a killer canteen, a streaming room which was used by the casters for the Artifact pro tournament we watched, and a crowbar-shaped trophy that dates back to when the original Half-Life shipped. 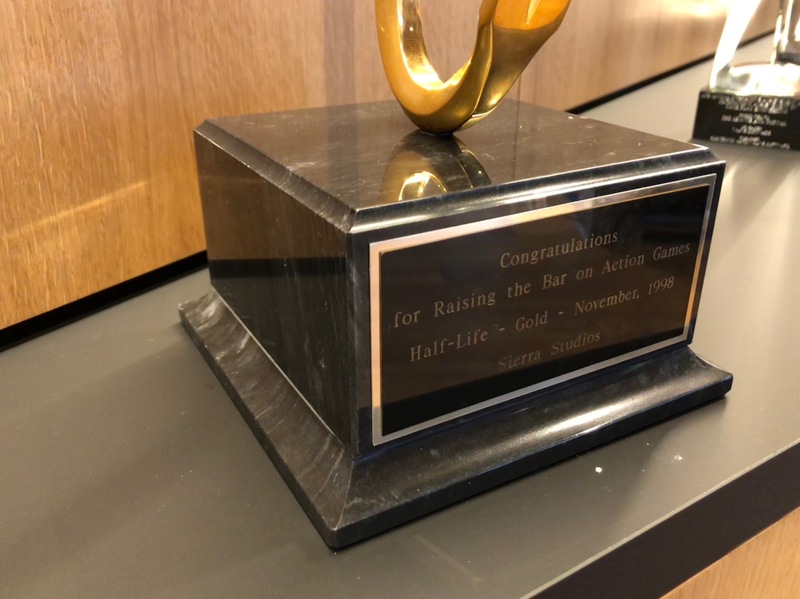 Sierra didn't give Valve any kind of congratulatory award at the time, so Valve's Scott Lynch figured he'd make his own. The inscription reads: "For raising the bar on action game." Sadly, I didn't get to see the laser testing area. But be assured, it exists.